Griffin Family Night. 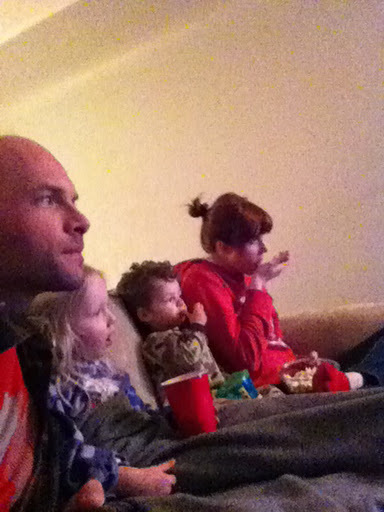 Popcorn & watching a show. So many great shows. But the absolute winner is .... The West Wing. It is by far the best television show in the past 30 years of my existence. I discovered it when Sophie was born. Gray, drizzle winter in Seattle. I walked one afternoon to the Hollywood Video near my house and looked for something to watch during the late night feedings. There it was. Glistening on the shelf. I hadn't ever watched it before, but it looked like a winner. I would watch an episode throughout the night when I was up with Sophie. And I fell in love. Jady & I quickly got addicted and joined Netflix just so we could get all the episodes. We eventually purchased the collectors addition and now own each show. Joy. We joke that if we ever renew our vows I will walk down the aisle to the theme song. Its that good. It is clever, funny, filled with incredible dialogue (thank you Mr. Aaron Sorkin), loaded with interesting characters...but you actually get smarter watching it. Seriously. Incredibly educational. I am surprised PBS didn't pick it up. This clip about sums it up. You can argue all you want, but President Bartlett and his staff are my favorite. They win in my book. Feel free to leave your opinion of what you consider to be the best show in the past 30 years in the comments!